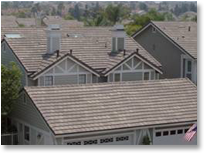 Lang Roofing, Inc. has the knowledge and experience to quickly assess and accurately determine your roofing needs. This knowledge and experience has lent us the efficiency that allows for timely construction without lacking attention to detail. We are proud to provide Southern California residents and businesses with strong, enduring roofs created from high quality materials and superior craftsmanship. View images of our past roofing work by clicking here. Lang Roofing only uses roofing materials from manufacturers they can trust. To view a list of Roofing Product Manufacturers, please click here. The Lang Roofing team looks forward to hearing from you. Please contact us by calling (800) 277-5772. All of our employees have roofing industry experience and are available to address your roofing questions and concerns.